Get the scoop on Pearland and surrounding areas real estate market for September 2018! The Christy Buck Real Estate Team wants to keep you informed of what is going on in our local housing market. Below, is a brief update on the Pearland, League City & Friendswood real estate market for September 2018. According to HAR.com data, there were approx. 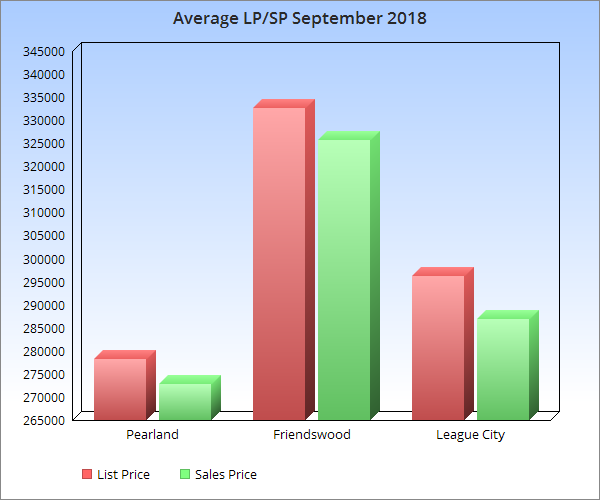 367 single-family sales in Pearland , Friendswood, & League City in September 2018. There were 156 single-family sales in Pearland, 74 single-family sales in Friendswood & 137 single family sales in League City. The average sq footage was 2531 in Pearland with the average sales price as $272,700. The average sq footage in Friendswood was 2685 with the average sales price as $325,600! And in League City the average sq footage was 2441 with an average sales price of $286,900. The average days on the market for Pearland was 34. The average days on the market for Friendswood was 37. The average days on the market for League City was 37. Contact The Christy Buck Team at 832-264-8934 or christy@christybuckteam.com to get your home on the market and sell it for the best price possible! Data provided by HAR.com on 10.09.2018. Data subject to change.